Ayutthaya Thailand is beautiful. Side note: I found a photo spot here at Wat Ratchaburana. Once we were done taking photos, we turned to see a lineup of people… asking me to take their picture! Ah, Ayutthaya. I have a soft spot for Ayutthaya because I’ve been dreaming of visiting this UNESCO heritage site for over a decade now. Yes, yes, I’ve made this comment only a gazillion times for those who aren’t new to this site. Given that this is one of the most anticipated cities for more than a third of my life, I wanted to spend a few nights in Ayutthaya. Because time was on our side during our year of travelling, I was able to learn a few things about this incredible city. If you’re new to the website and want to follow my year of travelling, visit this section for all my posts related to long-term travel. 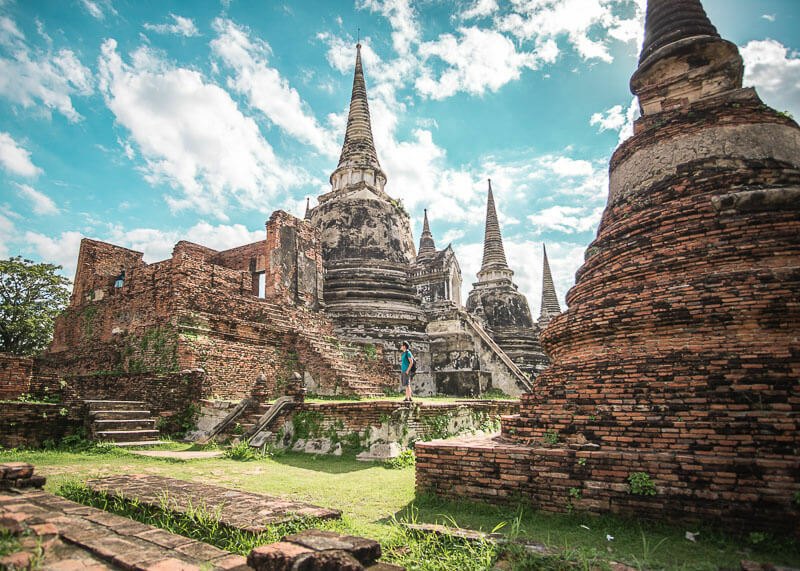 Did you know that Ayutthaya had a population of 1 million people and was the largest city in the world in 1700? Yup, who knew. 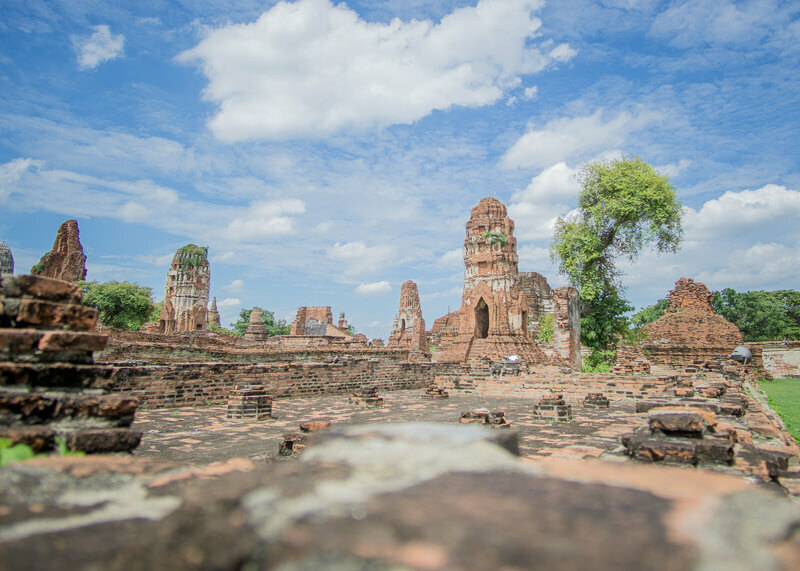 This city was the second capital of Siam after Sukhothai in 1350. Thanks to its central location between China, India, and Malaysia, Ayutthaya grew to be the trading capital of Asia. Many European countries like Portugal, France, and the Netherlands set sail for Ayutthaya because it housed a trading port for international countries. But…Ayutthaya was burned to the ground in 1767 when the Burmese invaded the city. Fire destroyed almost everything, and any survivors became slaves. Now, ruins of 50 temples and relics remain and you’ll see a lot of headless statues. 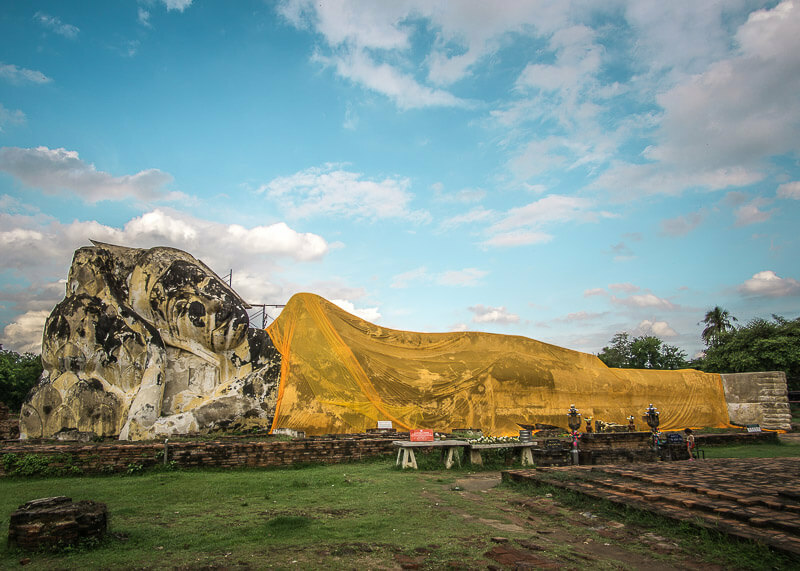 The Burmese also melted down any gold that adorned Buddha statues and you’ll only be able to see what’s left of the statues. 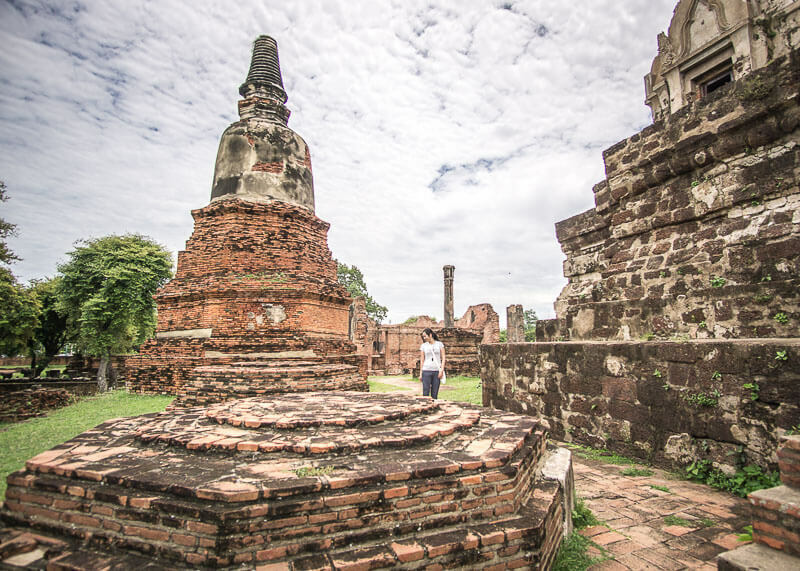 If you want to learn more about the rich history of Ayutthaya, consider taking an informative tour of the city. 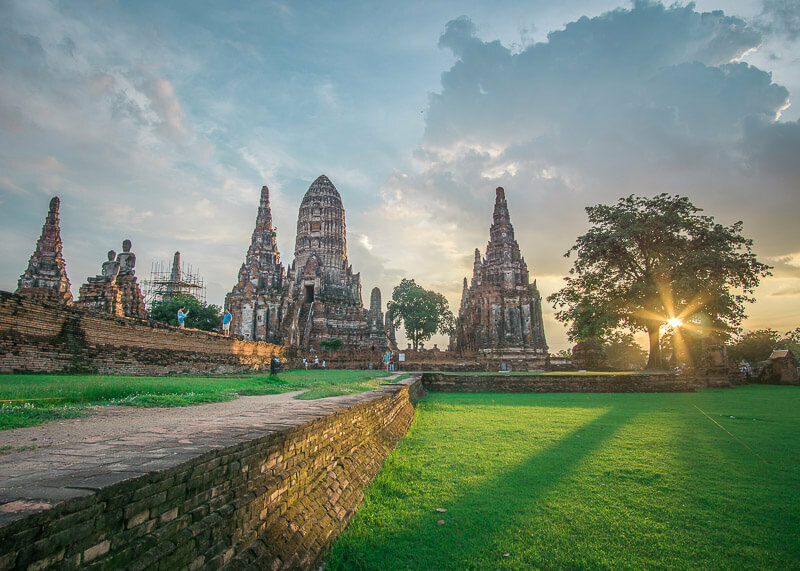 Now that you know a bit of the history of Ayutthaya, are you really going to spend just one day in this place? Don’t do it; you’re doing yourself a huge disservice. Unless you dislike culture travel or temples, I recommend you spend at least two nights in Ayutthaya. There’s a lot of history to take in and a lot of ruins to see! One day is not enough. The great thing about Ayutthaya is that it’s very close to Bangkok. 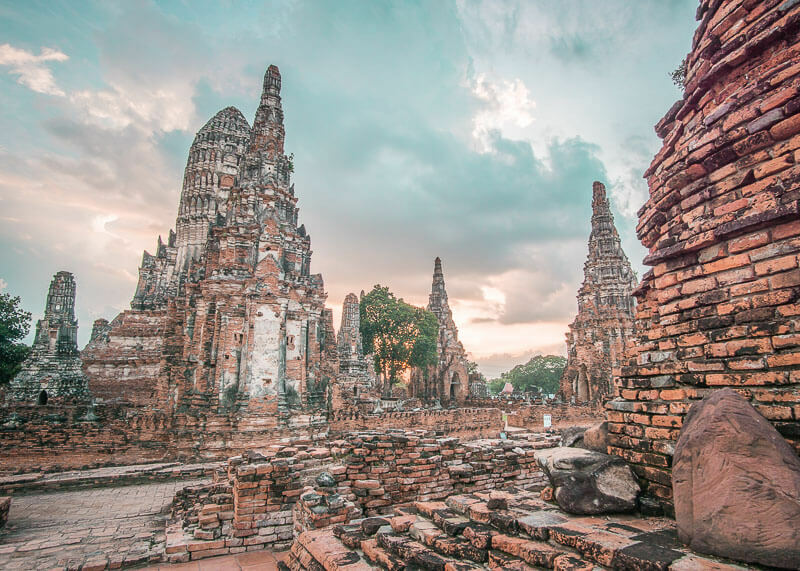 You can either take the train from Bangkok (read the full guide on how to get to Ayutthaya from Bangkok here) or you can get a comfortable private transfer from Bangkok. For comparison, Ayutthaya is everything that Bangkok is not, which would be a relief for those who dislike Bangkok (for the record, I’m one of the few who loves Bangkok!). 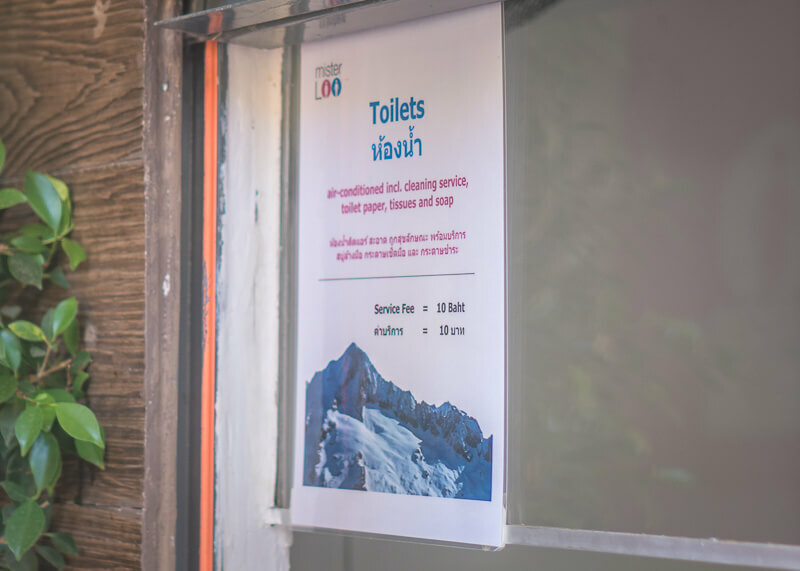 I won’t go into detail what Bangkok is like in this post, but the long and short of it is that Ayutthaya is the opposite of Bangkok in so many ways. 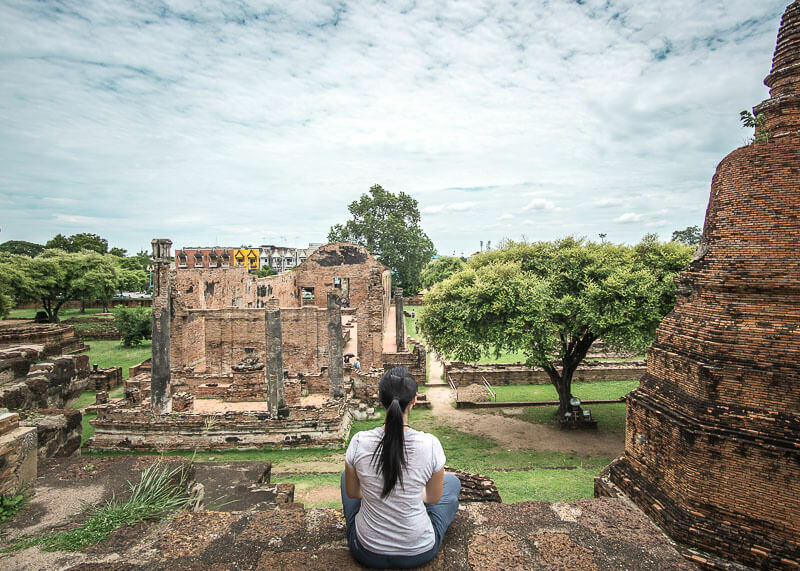 It could be because the city is small, with less than 60,000 people inhibiting Ayutthaya. Even the busiest temples weren’t that crowded, and the people are ever so friendly. They will help you without expecting anything in return, which took me aback. Sure, I experienced friendliness in Bali, but that’s the exception in most of Asia. If you have travelled to Asia and visited touristy areas, you’ll know what I mean. Most times when a friendly local came to talk to me or helped me (mostly in touristy areas), they usually expected something in return. It could be as simple as them sharing facts about a temple, or them showing you a great photo op – they will be friendly but then turn around and ask for something. If they are a store owner, they’ll ask you to buy something, or they will outright raise their hand and ask for money. I did not experience any of those shenanigans in Ayutthaya. 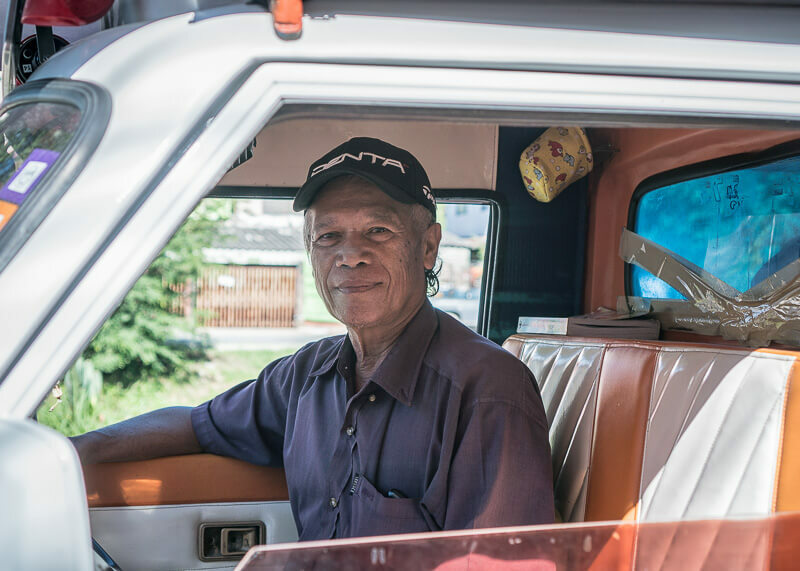 Even our tuk-tuk driver (which are known to be scammers, second to taxi drivers in Thailand) was very kind and honest. He totally would have saved us from a super long walk in the sun from the train station to the guesthouse had we met him earlier! There was that time when an elderly lady saw me bat a bug that flew in my eye (NOT FUN! ), touched my arm and handed me a tissue. Or the security guard who gave me a tour of one of the ruins and showed me all the best places to take photos. He couldn’t speak English, and I couldn’t speak Thai, but for some reason, he was kind enough to point out secret spots for me. This tiny elderly lady who was pushing a massive stall called out to us and pointed us in the right directions. No expectations, no motive. Just wanting to help. 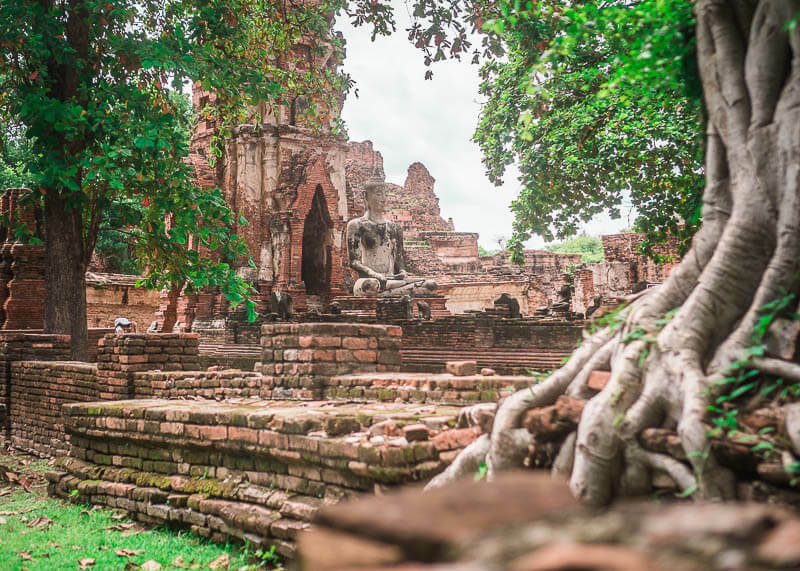 There are a lot of temple ruins in Ayutthaya; some that are far too spaced out to cover by foot. 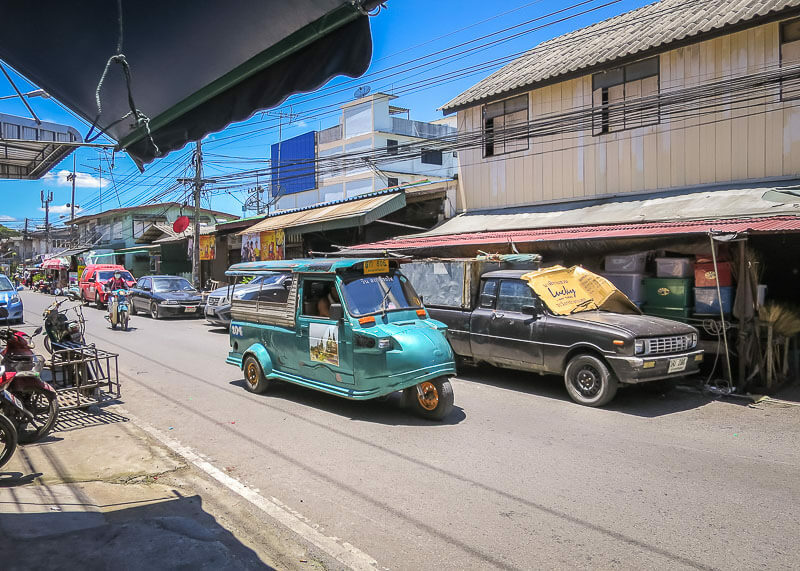 Some people hired tuk-tuks to explore Ayutthaya, but you’ll mostly end up whizzing past many temple ruins instead and you won’t be able to go at your own pace. Bikes will cost you around 50 baht per day and will have a basket in the front to store your belongings. The city has well-maintained paths, and you won’t have to worry about dealing with crazy traffic. Do make sure to unmount and walk to cross busy intersections though to be safe. Most temples have bike racks for you to store and lock your bike. Our guesthouse told us that there is no insurance on the bikes because it’s not necessary. People don’t steal bicycles. But if the bikes ever got lost or damaged, so be it. If we ended up with a flat tire, that means we’d have to walk back to our hotel. 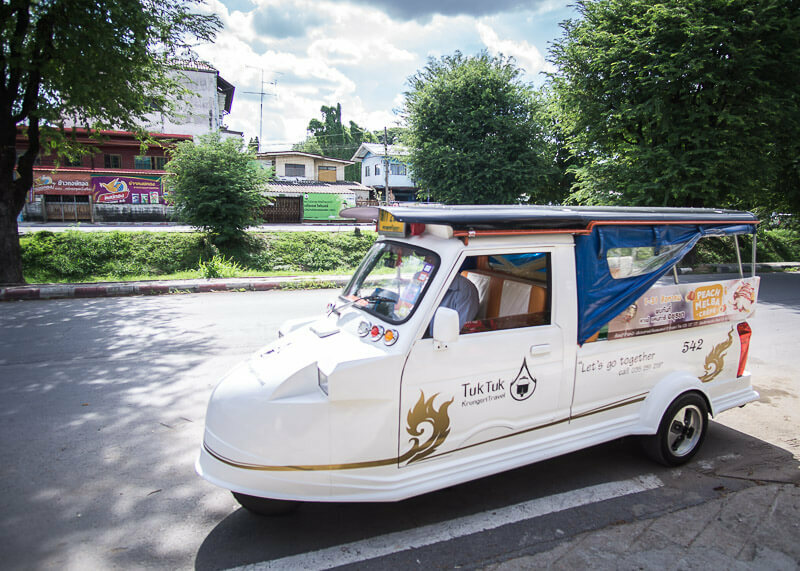 About tuk-tuks: we did hire a driver for the two temples that were too far for biking. A few showers a day goes a long way and trust me on this, you will need it. And ladies, forget about wearing makeup unless you want your face to melt like ice cream in the hot sun. On the bright side, I did feel very healthy thanks to the buckets of sweat that left my body. 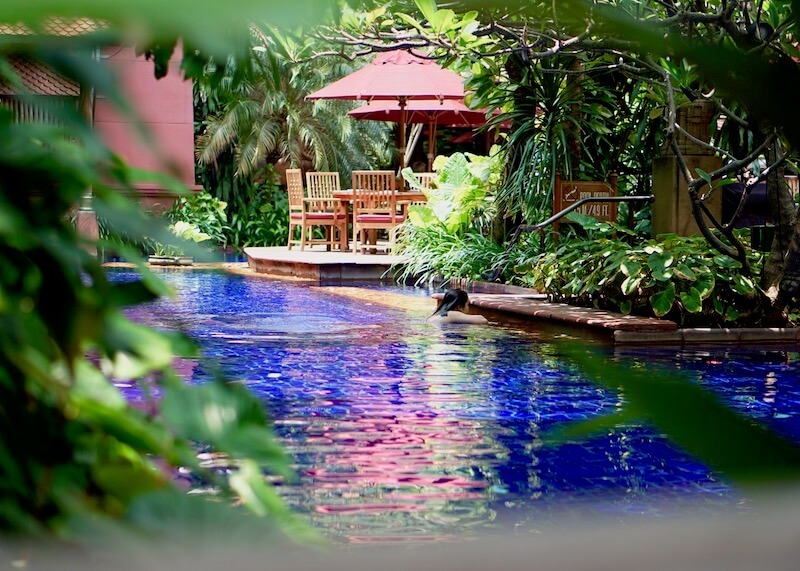 So you can treat this trip as a great detox session. For those travelling with cameras, make sure to take breaks in the shade to cool down your camera. No joke, our cameras warmed up big time and we were worried that they’d get sun damage. While our travel style is to spend 10+ hours a day on our feet, we weren’t able to maintain that pace in Ayutthaya. The weather was undoubtedly the biggest reason why we needed to slow down. It was so hot that we needed a lot of water breaks and to cool down in the shade. In fact, there was a day where it was so hot that we’d wait underneath a tree until the sun was behind the clouds before we’d continue sightseeing. It was THAT hot. 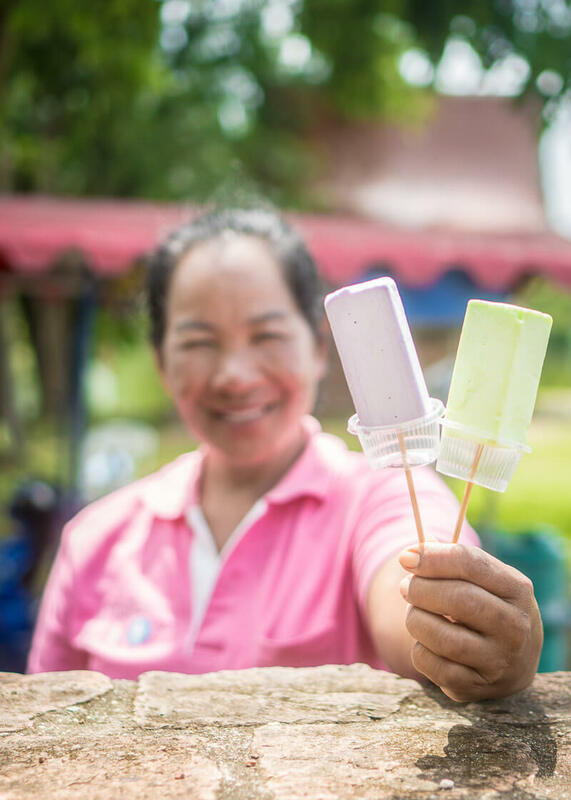 We were SO HAPPY to run into this lady who sold us pandan and taro ice cream. What a great way to cool down in the hot sun! Your skin will burn like there’s no tomorrow if you don’t put on sunscreen. Trust me on this one; I got lazy at one point and missed a few spots when I applied sunscreen. Within five minutes of spending time in the sun, I could feel the sun heating up those missed spots on my skin! I know I keep talking about the weather in Ayutthaya but it’s something you need to be prepared for because there is no cool season in this city. I have a high tolerance for hot weather compared to many people, so you should take me seriously when I say that it is hot like fire in Ayutthaya! I’ll stop talking about the weather now. You’ll thank me for warning you when you visit the city. You’ll want to avoid temples at all cost come nightfall thanks to the street dogs (aka soi dogs). These little punks are like teenager thug wannabes who howl throughout the night. I’ve been around dogs for almost half my life now, and I can tell the well-behaved dogs from the brats. Like humans, there are some bad apples, and the ones in Ayutthaya seem to have an ego (although only Chiang Mai dogs like to chase me). Anyway, I digress. 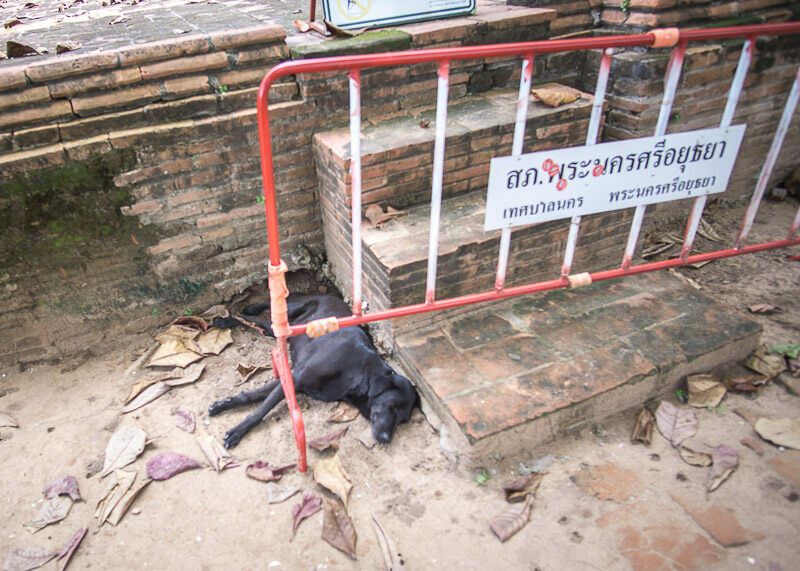 Avoid temple hopping in the evening because dog attacks are more common in Ayutthaya. We’ve read online that packs of dogs will corner you, chase you or bite you. Locals warned us about dogs as well and said that if we are in an uncompromising situation, that we should pretend to throw rocks at them. The Thais are not afraid of the stray dogs and scare them away by stomping their feet and pretending to throw rocks at them. The kinder way to distract them is with food, although I don’t know if you will have enough time for this method. Note: I did not try this technique, although I tried to bring bread in case the dogs were hungry. This trick did work in Myanmar, where stray dogs were very fearful of humans but were so hungry that they’d eat tree leaves. Click here to read more heartfelt stories about the dog encounters I had in Asia. Luckily, these brats are too hot in the daytime to be aggressive. They blend into the landscape and do nothing but sleep all day so try to plan your temple visits during the daytime. There will also be more tourists so you’ll less likely be bothered by the dogs. Those more energetic dogs will bark when you cycle pass them, but they won’t waste their energy chasing after you in the heat. As mentioned above, these stray dogs are very docile during the day and will sleep everywhere. Be it under a bike rack, a car or in the shade – you name it, they are there. I can’t tell you how many times I almost stepped on one of these little buggers because there are so many of them! Bats, rats, bugs… you’ll hear them all if you sit close to some of the temple ruins. Something to be mindful of if you don’t like pesky animals. That is new and something I had never seen before. Usually, people bow at the Buddha, but when I watch the Thais pass by, it’s like they are saying “bye” but in a bowing way. 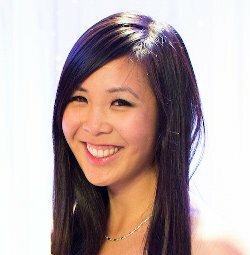 What other tips have I missed in this list? Comment below and share your thoughts! 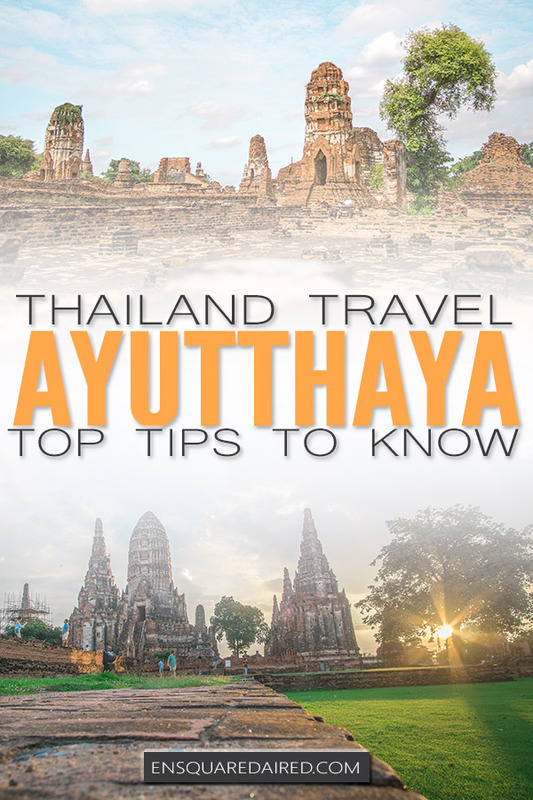 Previous Post: « What is the best way to get from Bangkok to Ayutthaya? I see your recommendation about staying in Ayutthaya for a few nights. Unfortunately, I will only be there for a day visit. What are your recommendations for must do for my quick day visit in Ayutthaya? Thanks and have a great day.